I can highly recommend Mark. He was very patient and professional. This was my third attempt the previous two with other instructors. Marks little tips made a real difference and he made me feel far more confident (even though I was still a bag of nerves on the day). I never thought I was going to pass but with Mark's help I got there. So if you are like me, I would definitely give him a go. After two previous driving schools I went with mark on a whim. I instantly felt at ease and comfortable with mark, he was patient and always encouraged going over areas I was unsure about. Within a matter of hours, I actually began to enjoy driving, something I previously thought was impossible. I passed first time with Mark with 4 minors, an excellent teacher and highly recommended! I would recommend mark as a driving instructor to anyone! I passed first time with only 24 hours, he is so understanding and so easy to learn from, listening to anything you have to say and making you feel so confident behind the wheel! Thankyou so much, couldn't of asked for anyone better. 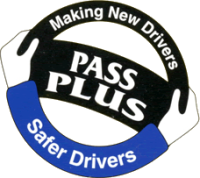 I would recommend mark to any body looking for a driving instructor and would like to thank mark for all his help. I recommended Mark as a driving instructor to anyone! Very easy going & understands problems you may be having and helps you deal with them. He's very patient and easy to get along with. I'd like to thank Mark for helping me to pass my test and for all his patience! Thanks for all your help Mark! I just like to say a massive Thankyou to Mark. You've been such a big help in teaching me everything I needed to know about driving an adapted left foot excellorator car. Everything you taught me was explained in a very clear way and you gave me confidence which played a massive part in me passing my test! I want anyone who is thinking about lessons to contact Mark Easter from SLK Driving School he is a very professional and friendly guy and you won't regret it... Passed first time me and now I am free to go wherever I want! I love it!!! ?????? Thank you Mark, passed first time, excellent instruction for a complete novice. Will certainly recommend him to anyone. Once again Thank You Mark. 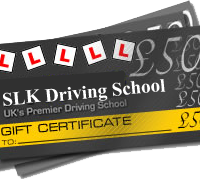 Mark is very patient, encouraging and friendly which makes him an excellent instructor. I decided to do my test in my own car and received plenty of encouragement and support from Mark. I will definitely be recommending to my friends. Mark is a wonderul driving instructor.I was quite a nervous pupil but his encouragement,calm approach and determination made me to succeed.I cannot recommend him and his driving school highly enough. Passed first time with 4 minors with Mark, and could not have asked for a more patient instructor! Easy to talk to and very good for panicy people like me, thank you!